counseling Archives - SMART Management, Inc.
SMART Management is proud to serve Hawaii addiction treatment providers with an EHR specifically designed to streamline opioid treatment program workflows. Providers like Ku Aloha Mau dedicate their time to supporting the states efforts to stay ahead of the ongoing epidemic. The SMART Team always looks forward to face-to-face interactions with customers in their own clinical setting. Each visit is a learning opportunity for both parties, a chance to meet new people and build new relationships, and show an ever-growing list of organizations how to use and benefit most from SMART’s EHR Software. We are thrilled to welcome New Brunswick Counseling Center to our family of SMART Software Partners. “The Mission of New Brunswick Counseling Center is to provide comprehensive, evidenced-based, integrated mental health and substance abuse treatment services. Services are individualized and provided in an outpatient setting for prevention, early intervention, and treatment of people with mental health, substance use and/or co-occurring disorders. Our program provides access to substance abuse and mental health services addressing the bio-psycho-social consequences associated with substance use and dependence. Our treatment services are not restricted to person from a specific geographic area. 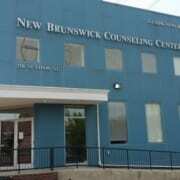 Founded in the early 1970’s, New Brunswick Counseling Center became a private, non-profit agency in 1982. Today, New Brunswick Counseling Center is fully staffed to treat people with mental health, substance use and/or co-occurring disorders.